Indian actress Priyanka Chopra's Hollywood kitty is on an expansion spree. She will play the love interest of Chris Pratt in "Cowboy Ninja Viking". 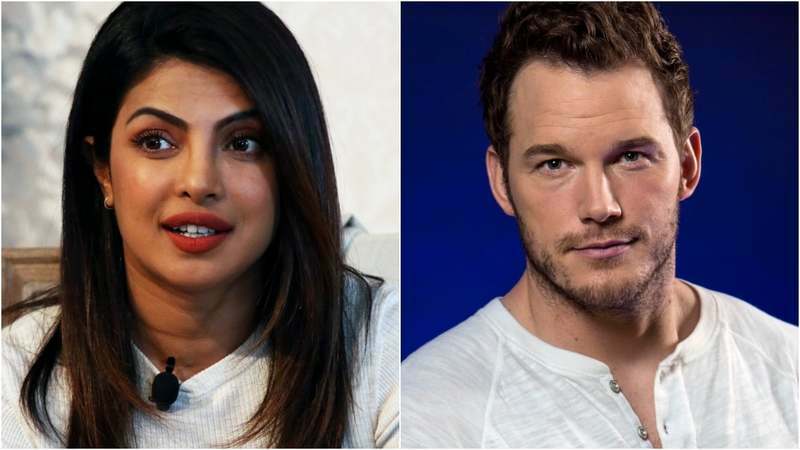 The role in Universal's big-budget tentpole was one of the more highly coveted, and Priyanka beat out a slew of talent after a chemistry test with Pratt went extremely well, reports variety.com. Priyanka, who shot to fame in American showbiz with "Quantico", is coming off the series' final season. She most recently appeared in "A Kid Like Jake", opposite Jim Parsons and Claire Danes, and the Dwayne Johnson-starrer "Baywatch". She can next be seen in the comedy "Isn't It Romantic" with Rebel Wilson. Priyanka was due to star in Indian period drama "Bharat" opposite Salman Khan, but opted out of it for "a very special reason" -- as per the film's director Ali Abbas Zafar -- just last week. It fuelled speculations that she may have been engaged to singer-songwriter Nick Jonas. "Cowboy Ninja Viking, which is in pre-production, is being directed by "Game of Thrones" fame Michelle MacLaren from a screenplay by Dan Mazeau, Ryan Engle, Craig Mazin, Paul Wernick and David Reese. Based on the Image Comics graphic novel by A.J. Lieberman and illustrator Riley Rossmo, the story revolves around a counter-intelligence unit formed by psychotherapist Sebastian Ghislain, who transforms agents known as Triplets, a reference to multiple personalities. Pratt is playing a formidable agent with the fighting skills and personalities of a cowboy, a ninja,and a viking.